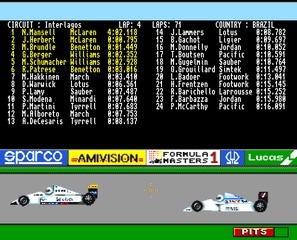 Formula 1 Masters is a Formula One managerial sim created by Amivision and published by ESP Software in 1994 for the Amiga. Today we would define it as an indie game since it was created by two people only: Stephen Rennocks (concept and programming) and Nick Stephens (graphics). 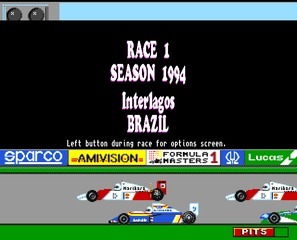 The game was built in AMOS BASIC, an easy-to-use programming language designed to develop games. 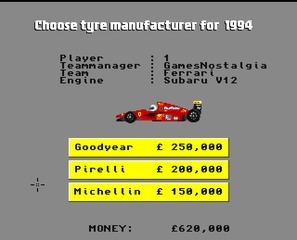 Formula One Masters is clearly a low-budget game but is an attractive sim for motor racing fans, especially the ones with some nostalgia of the Grand Prix of the '90s. 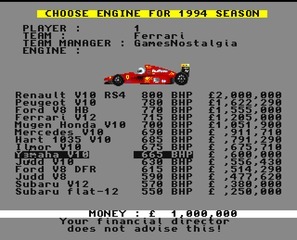 Starting the game, you will be asked to choose your team, buy the first engine, and hire your pilots; then the season will begin. 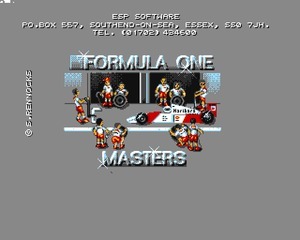 Being a pure managerial, you won't be able to drive a car; you will watch the races from the paddock. 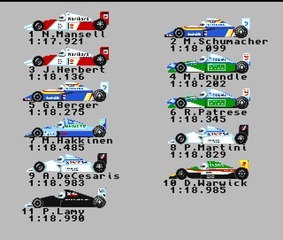 Before the Grand Prix, you will be able to check the weather forecast and choose the tires and the asset. 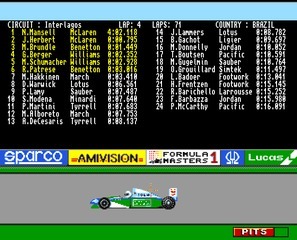 Then, lap after lap, you will see what happens in the big chart. 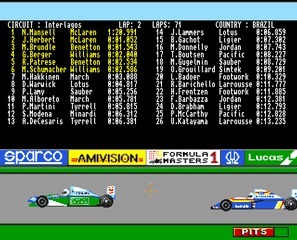 The news ticker will inform you about all the events: incidents, engine breaks, change of weather, and so on. The only missing piece is the pit stop: being able to manage refuels and change of tires would have been nice. 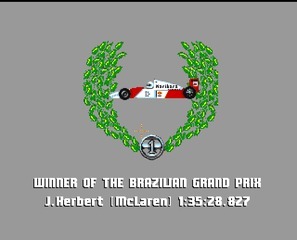 Despite this, if you like Formula 1, and you still miss the good old times of Nigel Mansell, Alboreto, Berger, Patrese, Herbert and Prost, you will really like this game. 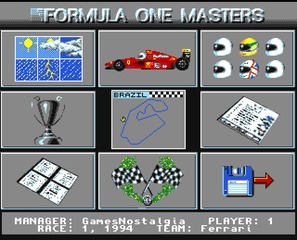 An enhanced version of Formula 1 Masters was released in 2001 (not made by the same author), and this one includes many more features. We will publish it soon. Please note: to bypass the copy protection, enter the word "hellfire".